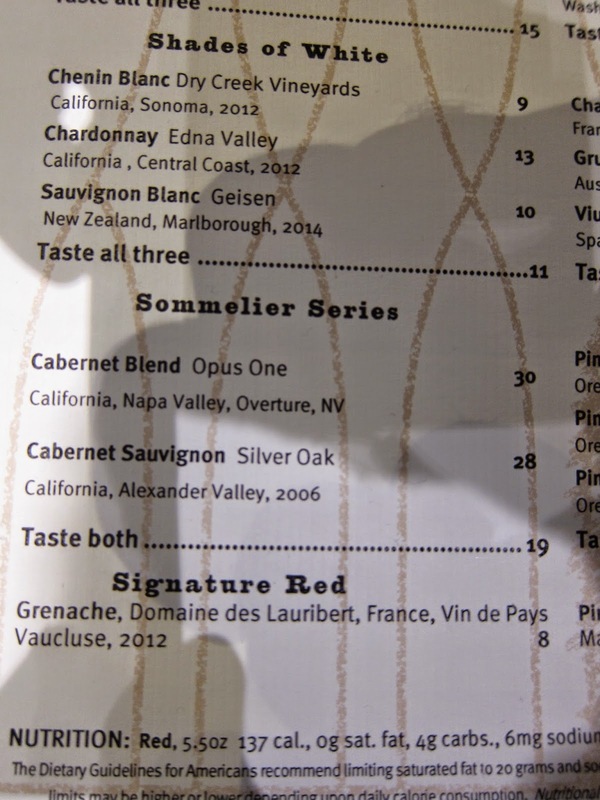 The Gray Report: Which sommeliers select Silver Oak and Opus One? Which sommeliers select Silver Oak and Opus One? I like Vino Volo. Sometimes I get a decent glass of wine and a good sandwich at airports, like Newark, where there was previously no food worth eating. Even for airports, Vino Volo's prices veer quickly from I-guess-that's-OK to are-you-kidding? Perhaps they're able to gouge the business traveler crowd, who can expense anything they consume in airports. Still, after seeing this list of wines at Seattle Tacoma International Airport, I had to wonder: how did Silver Oak and Opus One get in the "Sommelier Series?" Don't get me wrong, I respect both wineries (here's a Silver Oak feature, here's a surprising Opus One post.) But when I try to get sommelier quotes about them, what I keep hearing is that sommeliers actively try to talk customers into ordering something different. Lettie Teague wrote last year about how many restaurant people hate Silver Oak, even though they sell a lot of it. So I gotta ask Vino Volo*, which sommeliers are in your Sommelier Series? Which sommeliers selected Silver Oak and Opus One? I can relate; as I was finishing Art School in the '70's and having taking many film courses I absolutely refused to go see the movie 'JAWS',not me! It had to be a movie of the New American Director Movement or Truffaut. Better yet spend the time seeing Antonioni's Blow-Up for the fourth time than waste an hour and half for the populous 'JAWS'. A few years later it came back in a campy style revival, that a movie like that becomes - It was fun, easy, scary, I had a ball - The friend I went with reminded me what a Richard-head I had been when it was first released.. Something like this is bound to happen to those who eschew the likes of Silver Oak and/or Opus One! I've been drinking a box wine for a month!